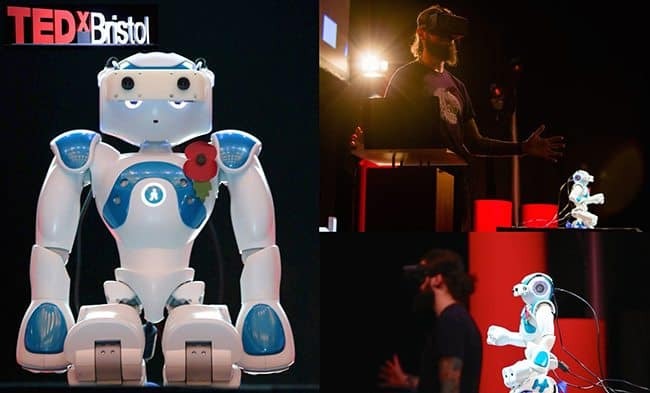 Just a few weeks ago TEDxBristol set itself the challenging theme of ‘GreatXpectations’ and treated its audience to a day’s worth of moving, through-provoking and mind-boggling talks. But even with those great expectations, the audience was blown away by a TED world-first when a humanoid robot avatar was brought on stage. 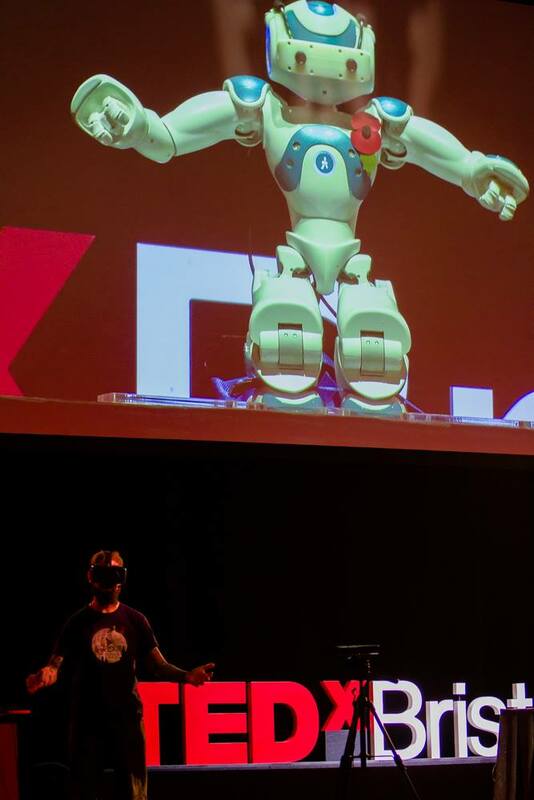 Controlled by researcher Dr Paul Bremner, this was the first robot avatar to ever present a TED talk! 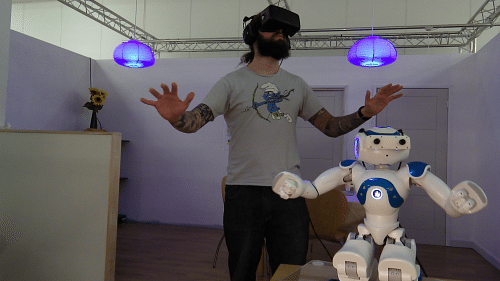 Designed to challenge traditional ideas of remote communication, the robot is controlled by a virtual reality (VR) headset and sensors attached to the user’s body. This means the user can see the people they’re communicating with through the robot’s own camera helmet whilst those on the receiving-end can see the user’s body language and movements through the robot itself. A robot avatar has many potential uses ranging from helping socially isolated people to making those pesky remote business meetings a much more natural and engaging experience by including your gestures – an important part of human communication. 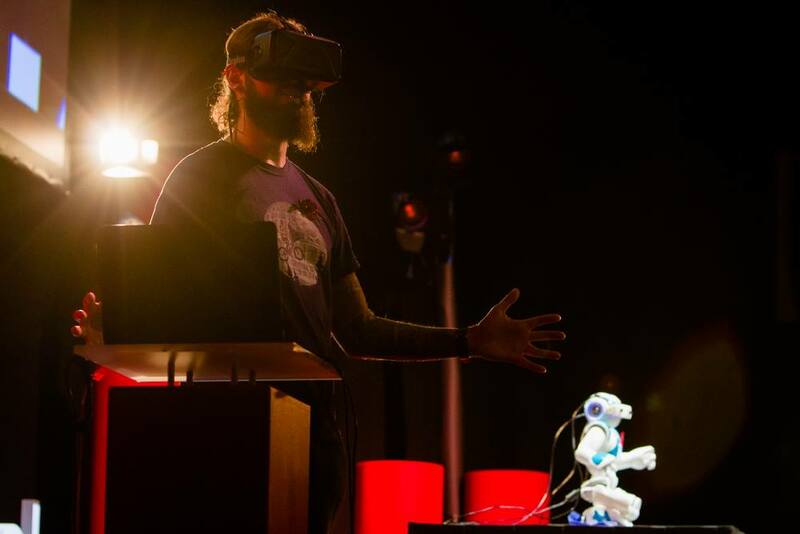 Keen to find out more about this extraordinary piece of innovation, developed at the Bristol Robotics Lab (BRL), TechSPARK caught up with the man-behind-the-VR-mask, Dr Paul Bremner (pictured below left). The BRL originally started looking at robot avatars for co-operative group action around a multi-touch table and found encouraging results on social presence and action awareness. This led to Paul becoming a part of the ‘Being There‘ project team at the BRL and greatly expanding on this work with aims to allow people to participate in interactions in public spaces, even if they are not able to be physically present. The ‘Being There’ project is part of a larger research area funded by the Engineering and Physical Sciences Research Council on how we present ourselves digitally and looking at how this might extend to physical proxies of our digital selves. It’s easy to see how robot avatars could become a part of our lives in the future, in our professional lives and perhaps as an extension of social media. 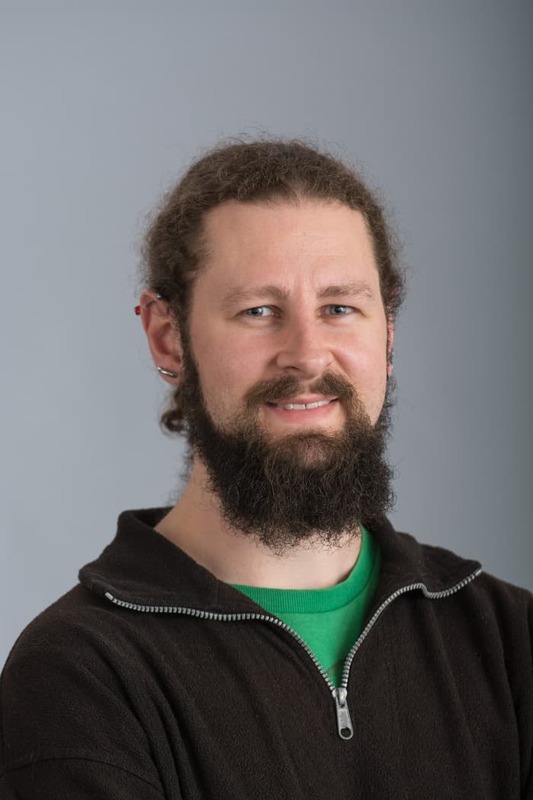 However, in his talk, Paul touched on the subject of social isolation and how these robots could help to reconnect commonly isolated groups of people such as the elderly or those who struggle with social communication. Thanks very much to Paul for sparing the time to chat to us. Want to get involved or find out more? 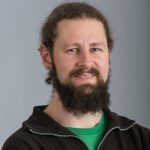 You can email Paul at [email protected] or follow the Bristol Robotics Lab on Twitter: @BristolRobotLab. You might like: How do I become a robotics designer?